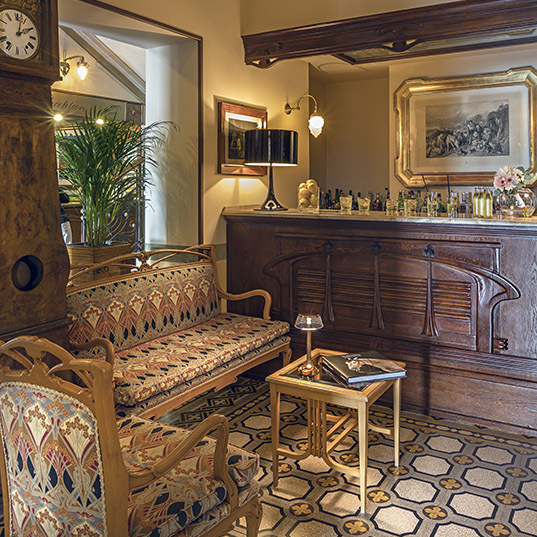 and offers a perfect blend of history and contemporary comfort. 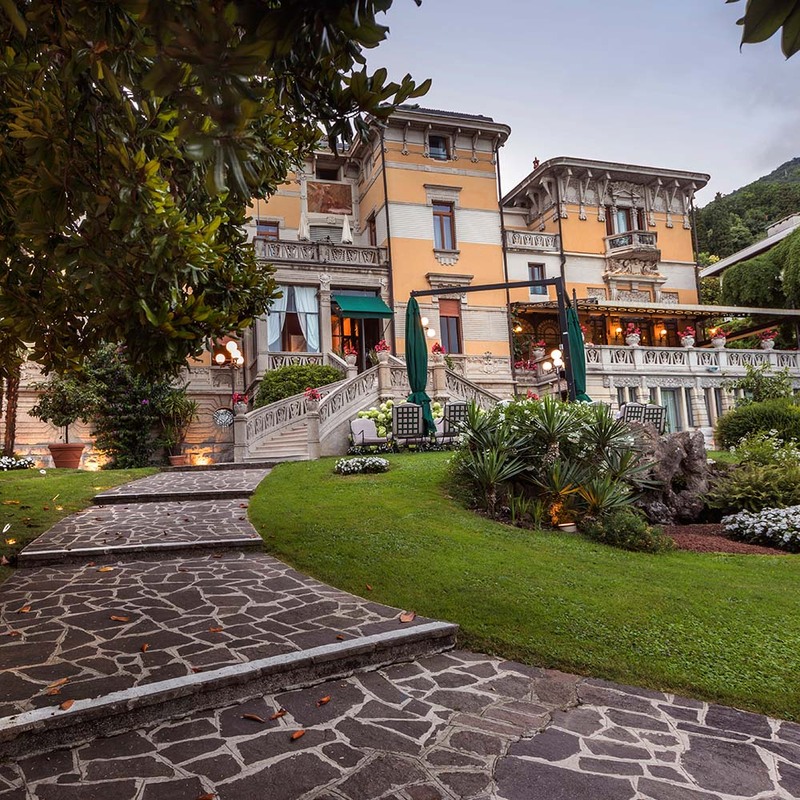 The villa was built at the start of the 20th century by the Simonini family, who turned it into their private residence. 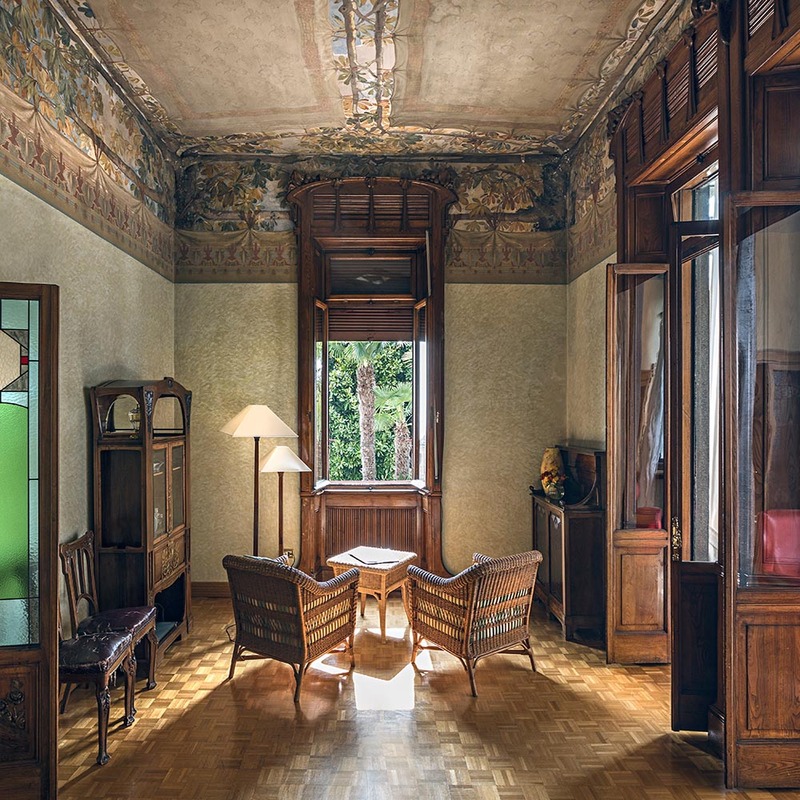 Majestic and elegant, it has frescoes by Bertolotti and Landi, large wrought iron spirals and refined wooden inlay. 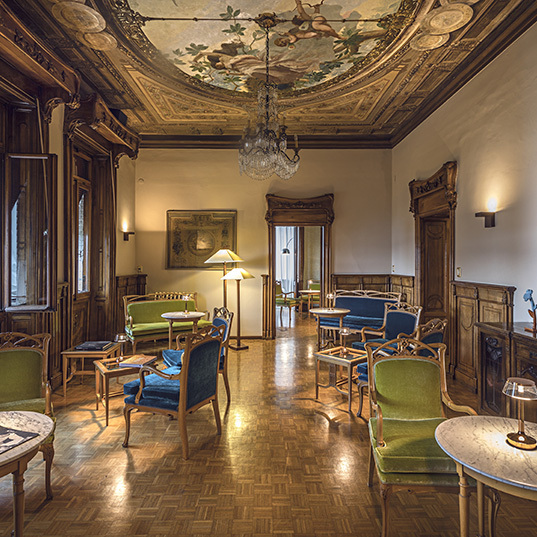 The Ministry of Foreign Affairs was based in the premises during the Social Republic and in the 1960s Franco Rossi, the son of local hoteliers, bought it and turned it into a hotel, naming it Hotel Laurin. The Laurin is surrounded by a charming garden with sweet-smelling flowerbeds and shaded areas where it is possible to dine outdoors as early as spring. A beautiful swimming pool enhances the garden and can be enjoyed throughout the day, from breakfast time through to evening and the time for sipping before-dinner drinks. 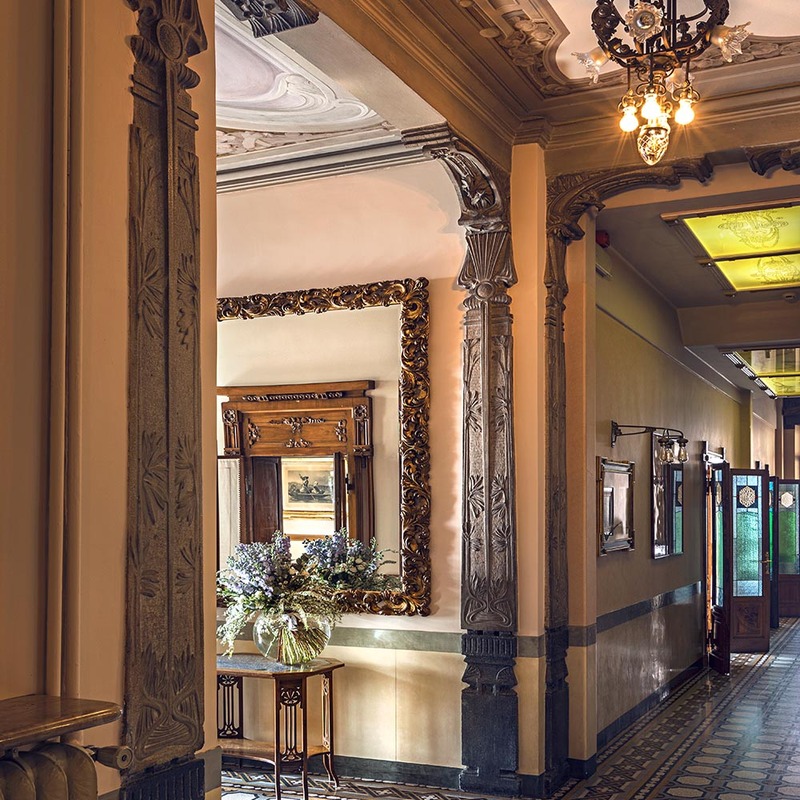 Soak up the magical atmosphere of a bygone era throughout the hotel, be it in the reception area, bedrooms, meeting rooms or dining room. 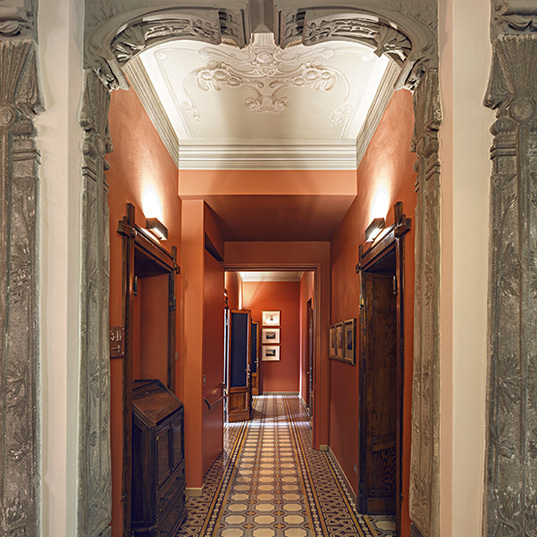 Hotel Laurin is amazing, a complete one-off, a building of great beauty. Staying here felt a bit like a dream you were suddenly going to wake from. Great service, excellent food, comfortable rooms with stunning views and free parking! The town centre is an easy 15 minute stroll. 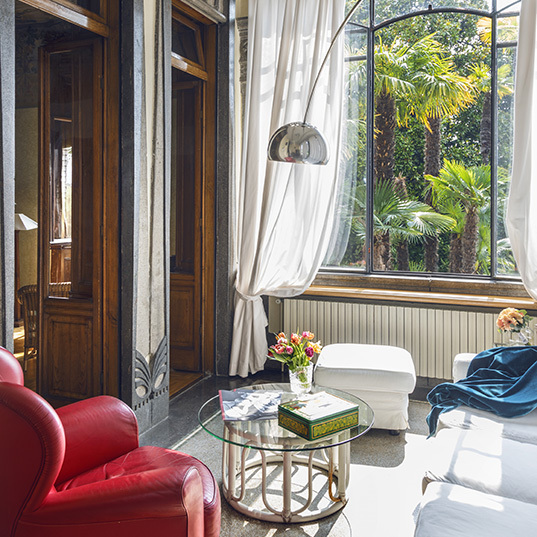 We wouldn't dream of staying anywhere else in Salò." 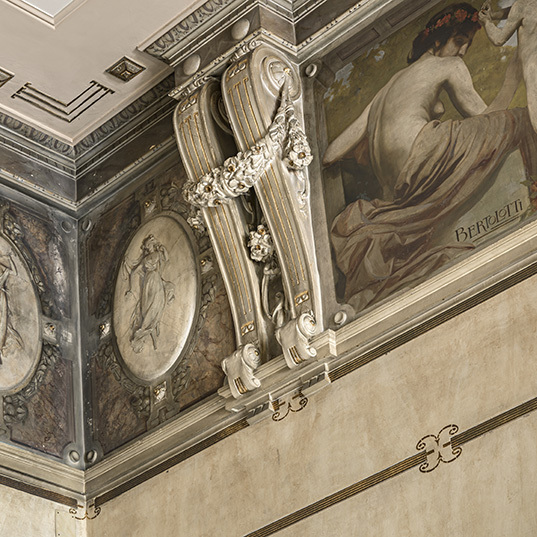 The beautiful Art Nouveau architecture and decoration was a real plus for us, and it was great to see that it had been retained during the renovation of the bedrooms. Hotel Laurin is situated in a most beautiful spot , Salo is a lovely town with good restaurants and wonderful vistas. We experienced a wonderful start to our Italy visit, and the staff at the hotel were a massive part of our good experience. This booking was a special treat and it exceeded all our expectations. From the minute we arrived we were made to feel so welcome. The building is exceptional with facilities to match. Nothing was too much a problem with exceptional service without being "too much". 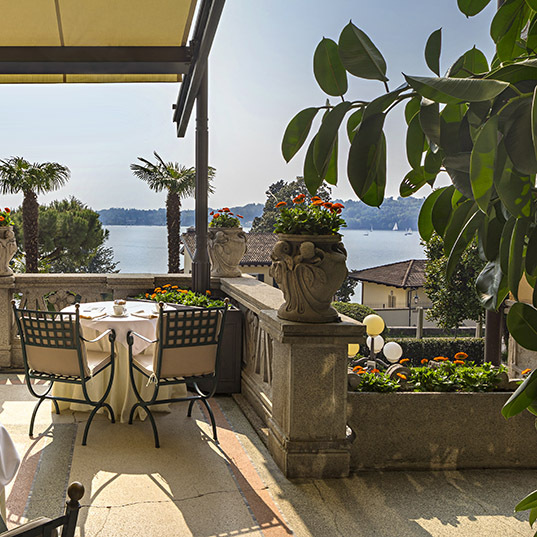 Breakfast was wonderful with the weather being warm enough to take it out on the terrace with views of the lake. OK it is not cheap but sometimes if you can afford to spend a little extra it is worth the expense. 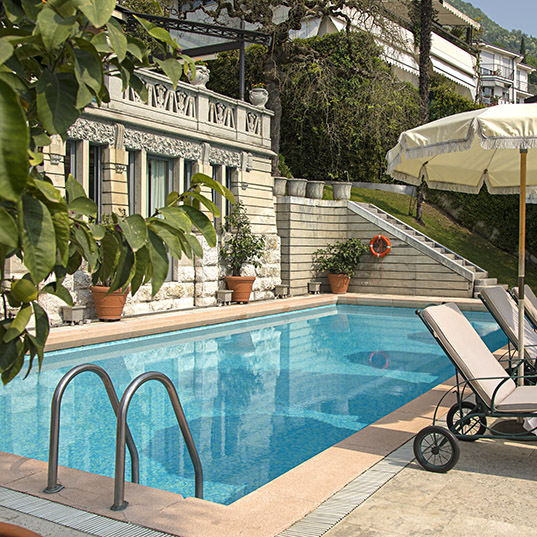 The pool and grounds were spotless with plenty of sunbeds available at all times. 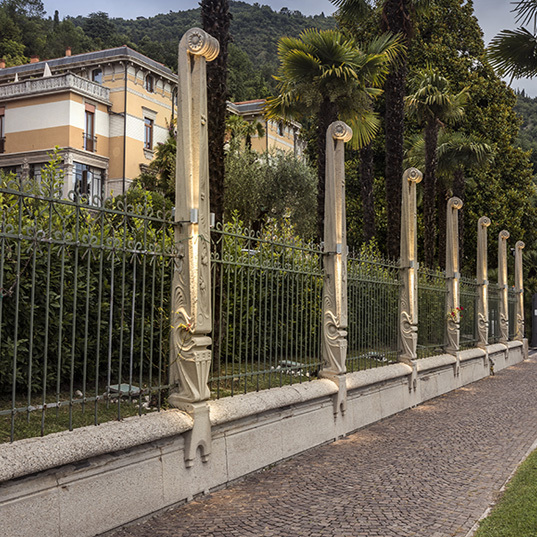 We did not eat in the restaurant for dinner as Salò promenade is only five minutes’ walk away. If you are thinking of booking here do not hesitate. (5/5)." Very helpful staff; great food; convenient location; comfortable rooms. One of the few properties that truly deserve a 10 on 10. (5/5). Easy in and out, old world charm, walking distance to shops and lakefront dining, just down the street from the Rivera - take the bus for easy access as parking on the lake can be a challenge. Guest at the hotel were from DE, US, GB, FR, etc so an international clientele. It was just what we needed after stops in the big city - not too isolated but quiet. (5/5)"
We stayed here for one night and it was perfect. 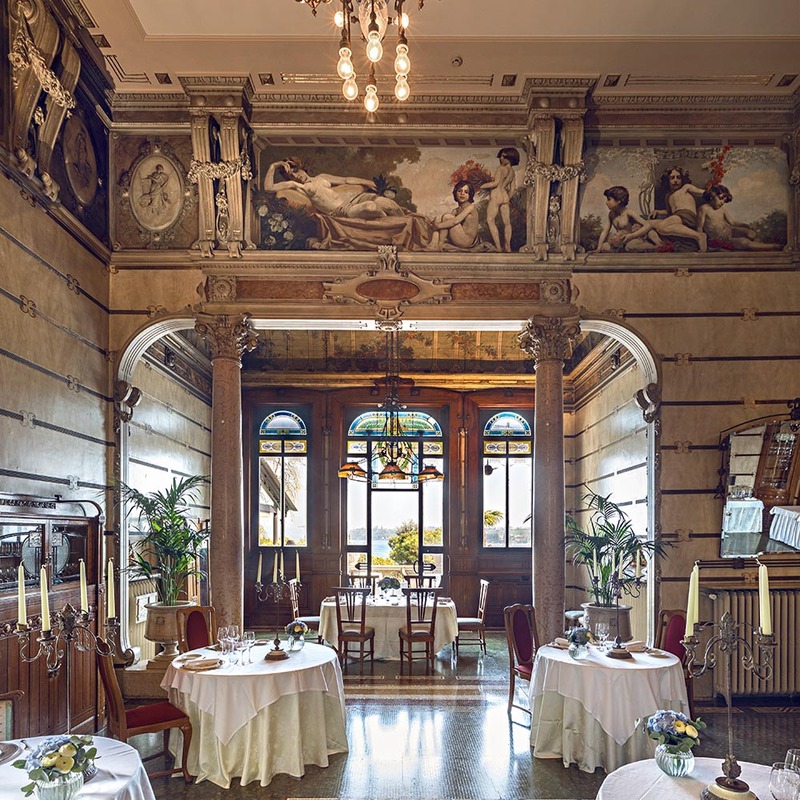 The location is great for exploring the beautiful town of Salò - just a short walk away - and the hotel itself is incredibly charming, authentically Italian, and beautifully maintained. The staff were amazing, the breakfast was excellent, and the pool area was super relaxing. I was sad we only had one night to be honest. (5/5)"